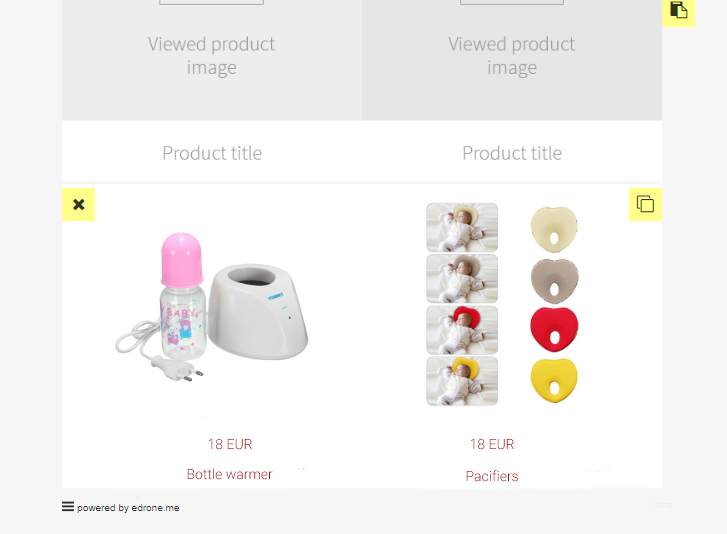 In order to create a dynamic newsletter with prices you need to have a product feed prepared and imported to edrone with prices of your products. Please note we import your product feed every 24 hrs however it is possible to import it every hour. Please talk to our Customer Service team @ hello@edrone.me. What is a product feed? It is XML file generated automatically by the shop or the platform. Please note it has to XML type file. So if we have a product feed ready and imported we can start. Go to ENGAGEMENTS -> DYNAMIC NEWSLETTER and choose if you want to create a new campaign or edit existing one. 4. 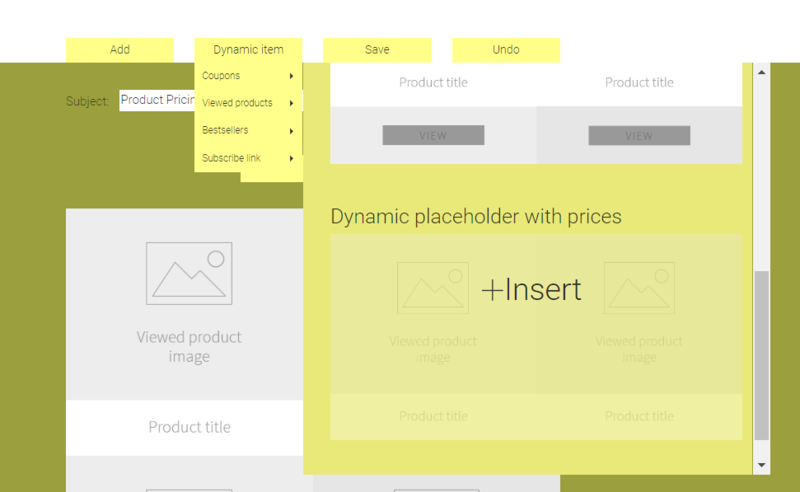 Next please choose Viewed products and Dynamic placeholder with prices. 6. 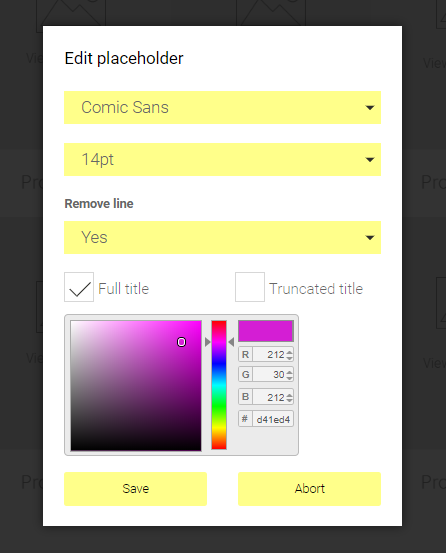 Now you can edit fonts and colors of the prices and titles. Please note at this moment you can change fonts and colors globally (for both prices and titles). We are working on separate editing of prices and titles. 7. Your dynamic newsletter with pricing is ready to use.